At the IFA Academies we take pride in developing all individuals to reach their potential. We believe in the holistic approach to player development. 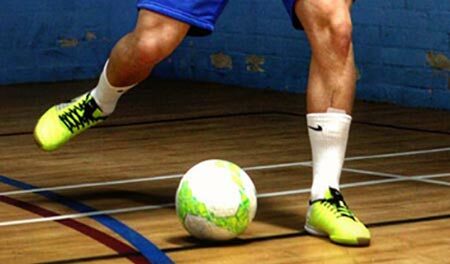 Our methodology uses futsal as a tool to develop the modern day player, regardless if they land in mainstream football or become specific futsal specialists: they will have been developed to excel in both and to reach their full potential. There is a sense in English football that we are missing players with true craft and skill. Questions are raised about the lack of English players who are capable of beating an opponent with world class dribbling skills, or who have the creativity to frighten defenders. There are few, if any, English players who can rival the quality of players like Lionel Messi, Cristiano Ronaldo, or Ronaldinho in the game. The reason appears to be that our youngsters are not practicing the right kinds of skills to become top players in football. In the past, young children would develop their physical, technical and social skills outside. They would play with their friends and spend endless hours being active; hours building up and developing their potential. Many coaches and ex- professionals in England argue for the return of ‘street soccer’, where kids play in the streets or the parks on their own. It is here, they argue, where they develop their skills, hone their moves, and become better players. In the street, in unorganised games, there is more contact time on the ball and the opportunity to be more expressive. However, due to modern living, English football is struggling to provide this environment for its young players and this is why futsal is so important. promotes imagination, inventiveness and skill, and also improves decision making and spatial awareness. It promotes players to learn and cope in tight spaces under pressure… a significant issue which many English players struggle with. Now it would be unfair to blame English players for technical shortcomings. It is not their fault. They are simply the products of the environments they have been developed in. Because of the style of coaching and the landscape afforded to many young players, practice conditions have come about that focus on direct play. Basically, these practice environments have stimulated the skills of long passing and neglected players’ abilities to master short passing, 1v1 situations, and handling the ball under pressure. If you want to focus on providing quality coaching, counting on the support of the country’s leading experts in futsal to simplify your task, contact us and we will explain how we can help you run your coaching project, with quality assurances built in and all the administrative and logistics support.